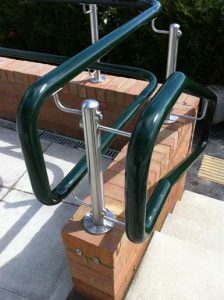 Stargard the original “Warm to touch” DDA compliant handrail system from SG Systems is proving a popular choice with both architects and contractors looking for a durable and aesthetic handrail system that can be specified across a wide range of applications. Fabricated from galvanized mild steel tube, Stargard is sleeved in a tough impact resistant 4mm PVC coating that provides a continuous smooth finish in both 42mm and 50 mm diameter. 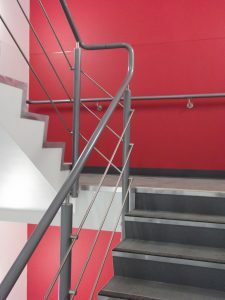 Available in a range of PVC colours, Stargard can incorporate LED insert lighting for health, safety and security environments and can be further enhanced when incorporated with PVC sleeved or stainless steel balusters, or the company’s range of Glassrail structured glass balustrades. Stargard is ideal for schools, offices, public buildings, stairways and ramps for both internal and external specification and has become a preferred handrail of choice across many of Network rails new and refurbishment projects.